The EPIC Board of Directors is represented by each of our physician divisions (EPIC North), Western Emergency Physicians (WEP), Utah Emergency Specialists (UES), and Total Emergency and Ambulatory Medicine (TEAM)., Salt Lake Emergency Doctors (SLED), Emergency Physician Group (EPG), Cache Valley (CV) and MontAlaska. Each division receives one director for every hospital with which they have a contract. Dr. James Antinori received his medical degree from the University of Florida College of Medicine in 1974, and has been practicing emergency medicine full time since 1977. He is Board Certified by the American Board of Emergency Medicine and is an Oral Board Examiner for that organization. He has an appointment as a Clinical Professor of Emergency Medicine with the University of Utah College of Medicine, and is politically active at the local and national levels with the American College of Emergency Physicians (ACEP). He served as a past president of the Utah Chapter of ACEP, and is currently a member of their Board of Directors. He also represents the Utah Chapter on the national ACEP Council. He works as an Emergency Physician at the Veterans Administration Medical Center in Salt Lake City, and is Medical Director of the Emergency Department as well. He is the former Chief of Staff at Mountain West Medical Center in Tooele, Utah. In addition, Dr. Antinori is Chair of the Legislative Committee of the Utah Medical Association and was honored by the UMA with their Distinguished Service Award in 2010. Dr. Bair is a board certified emergency physician, is a Past President of the Utah Medical Association (UMA). Dr. Bair graduated from the University of Utah College of Medicine and then pursued a residency in Emergency Medicine at the University of Illinois at Chicago. A long time advocate for physicians and patients, Dr. Bair has worked with organized medicine since he was a medical student. He served most notably as the national American Medical Association (AMA) Young Physician Section Chairperson in 2000 -2001. In Utah, he served several years as a delegate from the UMA to the AMA, Speaker of the House of Delegates of the UMA, and on the Board of Directors and Executive Committee of the UMA. Dr. Bair is medical director for EMS, Saratoga Springs. And, has worked on the Utah State EMS Committee, Utah County EMS Council and is the Chair of the Utah State EMS Model Guideline committee. 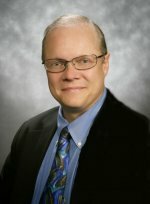 Dr. Barlow received his medical degree from the University of Washington in 1975 and has practiced emergency medicine full-time since 1997. He has been practicing in Utah since 1991, and prior to that he practiced in Southern California. He is Board Certified by the American Board of Emergency Medicine. Dr Barlow has been active in medical staff affairs at Timpanogos Regional Hospital since it opened in 1998. He has served as Medical Director for Orem Paramedics, Chairman of the hospital CME Committee, member of Medical Executive Committee as the Department Chairman of Hospital Services Department, President Elect Chief of Staff, Chief of Staff, Post Chief of Staff. Dr Barlow currently serves as Chief Medical Officer for Timpanogos Regional Hospital and Department Chair of Emergency Medicine. Dr Feil received his Bachelor of Science from the University of Utah in 1997. He attended medical school at the Arizona College of Osteopathic Medicine graduating in 2001. He specialized in Emergency Medicine at Kern County Medical Center in Bakersfield, CA graduating from residency in 2005. He is board certified by the American Board of Emergency Medicine and is a Fellow of the American Academy of Emergency Medicine. He is currently the managing partner for the Western Emergency Physicians Division (WEP) of EPIC and previously served for five years as the Chairman of Lakeview hospital Emergency Department and is currently on their Board of Trustee's. He currently works at Lakeview Hospital and Jordan Valley West Medical Center in Salt Lake and Bountiful areas. He also works in the Hyperbaric and Wound Care Center for Salt Lake Regional Medical Center and is the Medical Director for Clinton City Fire Department. He is an avid outdoor enthusiast where he enjoys mountain biking, skiing, backpacking and spending time with his family. Dr Hollifield is currently serving as EPIC's Chief Medical Officer. He also practices emergency medicine at St Marks and Lone Peak Hospital. He graduated from the University of Utah School of Medicine in 2005 and completed his Emergency Medicine residency at Harbor-UCLA Medical Center in Torrance California in 2008. Dr. Shay Holley is the Davis Hospital Emergency Department Chairman. He also works at Ogden Regional. He grew up in Slaterville, Utah and graduated from Weber State College with a Bachelor’s degree of Integrated Studies in Asian Studies, Chemistry and Mathematics. He graduated from the University of Utah school of Medicine in 1991 and completed his emergency medicine residency at Akron City Hospital. Dr. Holley has served in several leadership capacities at Davis Hospital. He has returned to his roots in Slaterville where he gardens, hikes, raises cattle and has a small apple orchard. Dr. Jess Jewett is Medical Director of Emergency Medicine and Disaster Medicine at Cache Valley Hospital in Logan, UT. He was born and raised in Orem, UT and is an alumni of Utah State University. After graduating from the American University of the Caribbean he completed a surgical internship at Saint Josephs Exempla in Denver, Colorado. Dr. Jewett then completed a residency in Emergency Medicine at the University of Mississippi in Jackson, Mississippi. 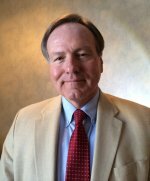 Dr. Johansen serves on the EPIC Board, and is an Emergency Physician at Jordan Valley Medical Center where he also served as Chief of Staff. He also serves in the EMS community as Medical Director for several different agencies where he was instrumental in bringing about the first Pre-hospital 12 lead ECG program in the community. He is also credited with pioneering a Pre-hospital Therapeutic Hypothermia program for cardiac arrest patients with return of spontaneous circulation, and most recently initiated a Pre-hospital CPAP program for patients in respiratory distress. His work has brought him notoriety in the community as he was honored with last year’s Distinguished Service Award for medical directorship. This year he was named Emergency Physician of the Year and was featured in Utah Business magazine as a 'Healthcare Hero" for excellence, innovation and achievement in healthcare. He is active in team and water sports, he plays the drums, and has a hobby collecting Indian artifacts. Dr. Johansen received his Doctor of Medicine at the University of Utah College of Medicine and completed his internship and residency in Emergency Medicine at Hennepin County Medical Center in Minneapolis, Minnesota. Dr Lawliss received her Bachelor of Science in Math and Biology from Union College in Schenectady New York in 1991. In that same year she joined the US Army Reserves and served until 1996. She received her Medical Degree from Upstate Medical University in Syracuse, New York in 1999. She completed her residency in Emergency Medicine at Upstate Medical Center in Syracuse, New York in 1999. She moved to Utah in 1999 to enjoy the endless outdoor activities and opportunities. She is presently the managing partner with the Emergency Physician Group (EPG) at St Mark's Hospital and Lone Peak Hospital. She has worked in various leadership roles within EPG before this present administrative job. She is a member of the Board of Directors with Utah ACEP. She taught the Emergency Medicine section of the Physician Assistant Program at the University of Utah for several years. The Emergency Medicine profession has given her great satisfaction in her life and she can't imagine doing anything else. Dr. Richard Thurman, MD works full time as an emergency physician at Salt Lake Regional Medical Center. Dr. Thurman attended Brigham Young University and received his medical degree at the University of Texas Medical Branch in Galveston, Texas. He completed his residency at the University of Kansas Medical Center in Kansas City, Kansas. 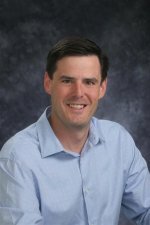 After practicing near Portland Oregon for 15 years, Dr Thurman returned to Utah with his family in 1998 and currently enjoys sports other activities in the wonderful state of Utah.